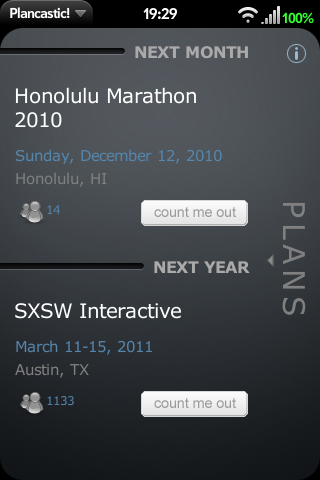 Share your upcoming plans with your friends and the rest of the world with the first Plancast client for webOS! Dont have a Plancastic account? No Problem! Signing up is as easy as pie and you can even link Plancast with your facebook or twitter account! + Be always up to date on what your friends are up to! + Find upcoming events in your area! 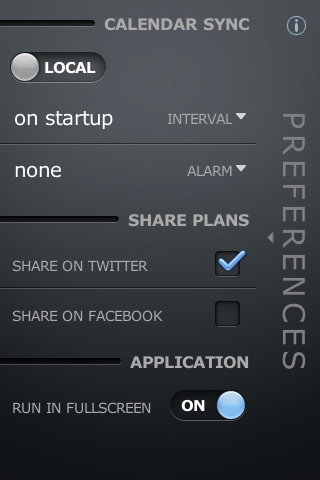 + Easily share your plans on Facebook or Twitter! 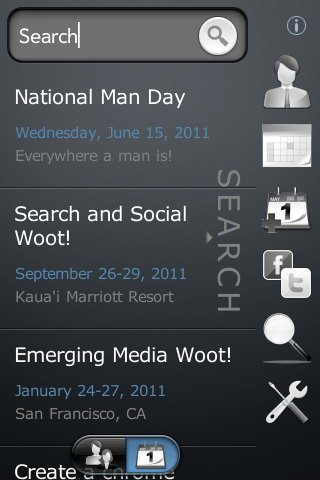 + Synchronize your plans with your webOS calendar! LIMITED OFFER: First 1000 downloads for only 0.99!